desconhecem-se as causas da extinção. ITIS, Integrated Taxonomic System, [url] https://www.itis.gov/servlet/SingleRpt/SingleRpt?search_topic=TSN&search_value=164027#null, ac. 27.02.2017. IUCN Red List, [url] NatureServe. 2013. Noturus trautmani. The IUCN Red List of Threatened Species 2013: e.T14908A19032932. http://dx.doi.org/10.2305/IUCN.UK.2013-1.RLTS.T14908A19032932.en. Downloaded on 27 February 2017. 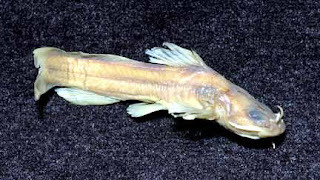 FishBase, [url] http://www.fishbase.org/summary/Noturus-trautmani.html, ac. 27.02.2017.